Dr. Mohammad "Mo" Shakouri came to Joint Venture in 2017 to head the new Community Broadband Initiative. He is a Silicon Valley investor, entrepreneur, and international executive with over 25 years of experience in the communications and electronics industries. Dr. Shakouri is well-versed in formulating large-scale partnerships and introducing broadband network initiatives to emerging markets. 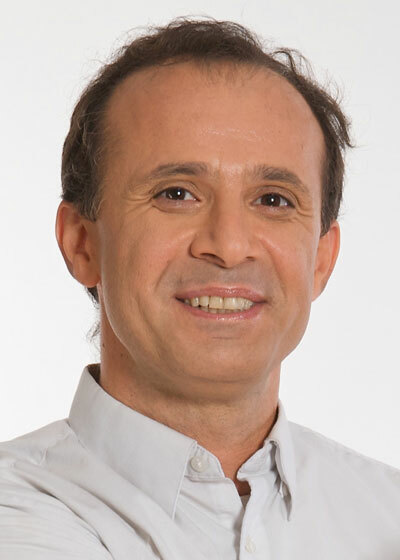 As an internet connectivity evangelist, Dr. Shakouri has worked with internet and tech companies such as Intel, Facebook, Google, Microsoft, Qualcomm, etc. He serves as Chairman of the WiMAX Forum, is the EVP and CTO at Novation Broadband, and is Founder and CEO of Microsanj. Dr. Shakouri earned his Ph.D. in Electrical Engineering & Applied Physics from Stanford University, and a BSEE from San Jose State University.